We often speak of sport as being one of the world’s great equalisers. It’s used to cross cultural and language barriers, build communities, and of course, celebrate the underdog. Where sport around the world fails is in its handling of gender inequality. It’s a desire to rectify this and create an equal playing field that has taken an MBS alumna around the world. Laura Youngson is football (soccer, as we call it in Australia) mad, as soon as she says the word her eyes light up, and there’s an energetic crackle that makes it clear we’re officially entering her domain. She’s also an entrepreneur, coach, athlete, STEM advocate and activist. It’s no surprise then, that she’s also been responsible for breaking two world records, through Equal Playing Field, an initiative that Laura began while studying at the University of Melbourne. 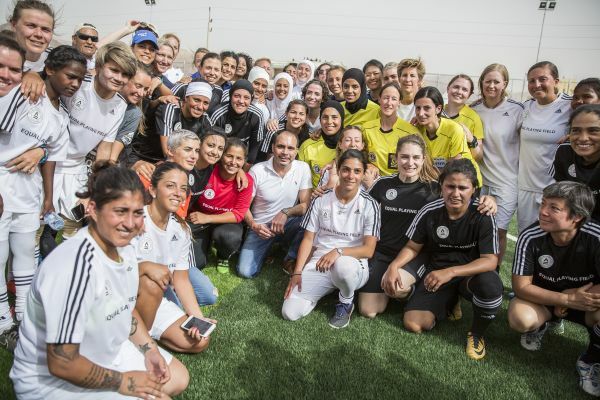 It’s a movement that has evolved so much in fact, that Laura and the Equal Playing Field team were recently invited to Jordan, where they visited the Dead Sea and broke their second record, for the lowest altitude football game. 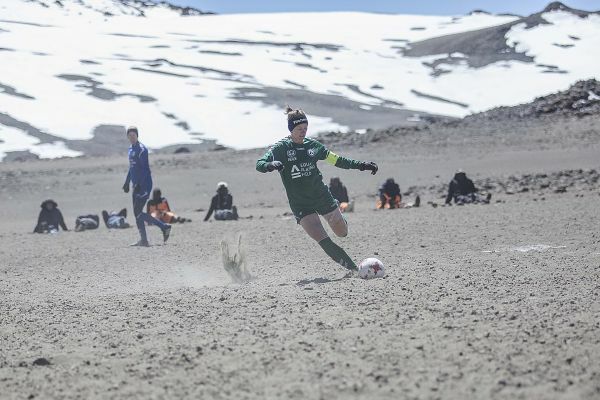 For the time being, however, Laura’s focus is on a project that came about as a result of the world record attempts: Ida Sports, a company that wants to produce quality football boots designed for women. Now, having gone through a comprehensive research process, consulting with the best designers in Melbourne and finding out exactly what it is women want from a football boot (the answer is black on black, not the pastel colours currently on offer), Ida Sports is about to launch a crowdfunding campaign to get the first 500 pairs of boots out into the world. It’s a major project, and to an extent, Laura puts her ability to undertake such an endeavour down to her time at MBS and the Wade Institute.